Sail The Pacific for a Panorama of Poker! If there is one certain fact about the online world of poker, it is that we, the lucky players, have a huge choice of places to play. However, life is sometimes made easier by the willingness of a poker site to make a new player feel particularly welcome. This is especially so for players who prefer to entrust their custom to an established name; however, finding one that will do more than just trade on its name is sometimes easier said than done. 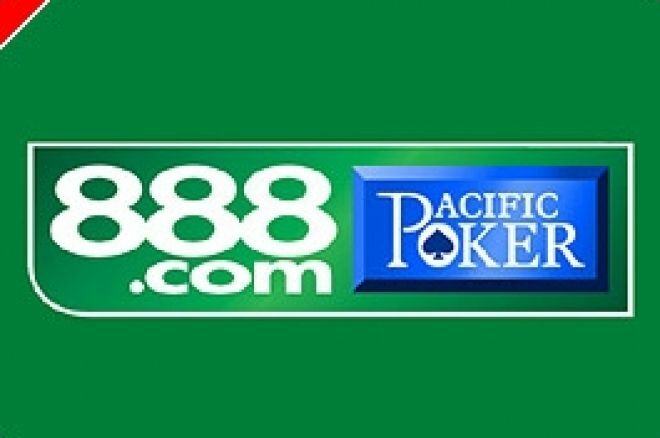 Pacific Poker, the poker arm of the giant casino group 888.com, bends over backwards to reward new players. Furthermore, Pacific has got together with UK Poker News to offer even more incentive than usual! If a new player signs up to Pacific Poker here through UK Poker News, and goes on to collect a very modest 250 Pacific Poker Points before 4th July, that player will gain excusive entry into a Team Poker News WSOP Freeroll tournament scheduled for 7th July. Remember that this is a limited entry freeroll so a chance to win a WSOP seat is far greater than the usual low cost tournaments available where many hundreds, even thousands, compete. All you need do is enter the deposit bonus code “UKPNEWS” when you first deposit into your account downloaded from UK Poker News. Not only can you enter the exclusive Team Poker News WSOP Freeroll, but Pacific Poker will also credit you with up to $100 by way of a 60% deposit bonus once a certain number of hands have been played on your new account. So, as an example, you could deposit just $167 into your new account and play for both the $100 bonus and a seat at the exclusive Team Poker News Freeroll. On top of these goodies, you will benefit from the high level regular attractions such as WSOP Super-satellites, a $30,000 Guaranteed prize money tournament every day, and a $100 refer-a-friend bonus should you recommend someone else to join Pacific Poker who themselves would earn $50 from the deal! To round it off, Pacific will also send you a free Texas Hold’em book as a thank you gift. Of course, 888.com is a huge name which ensures poker games of the highest quality at all times. You need never be without a game whatever your level of expertise or bankroll. If it’s poker you want to play, climb aboard and see the Pacific in its full glory! FHM/Purple Lounge Norway Freerolls are Go!